Shortly after announcing the upcoming availability of the first smartphone to ship with Android 4.4 KitKat operating system out of the box, the Nexus 4, Google updated its FAQs for various devices. Among them, Samsung Galaxy Nexus stands out due to the fact that it’s one of the few Galaxy devices that doesn’t get the Android 4.4 KitKat updates. Android 4.4 KitKat has been designed to run smoothly even on devices with 512 MB of RAM confirms so it’s obviously not about the hardware. The end of the update cycle for the Galaxy Nexus seems to be all about Google saving a few bucks on development costs. Keep in mind that the Samsung Galaxy Nexus runs a Texas Instruments OMAP processor, and TI isn’t really in the mobile game anymore. Can be difficult to support a device when the chipset manufacturer isn’t really around. This is tough news to swallow for many of you, but the phone is now two years old. 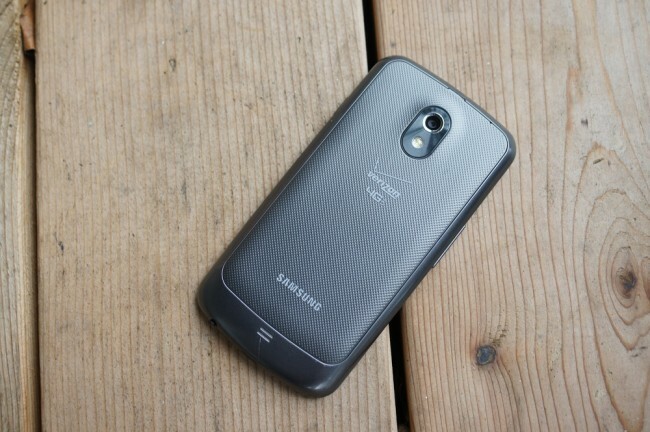 Nevertheless, the Galaxy Nexus was a breakthrough device for Android, heralding in the “Ice Cream Sandwich” age with a strong focus on design. 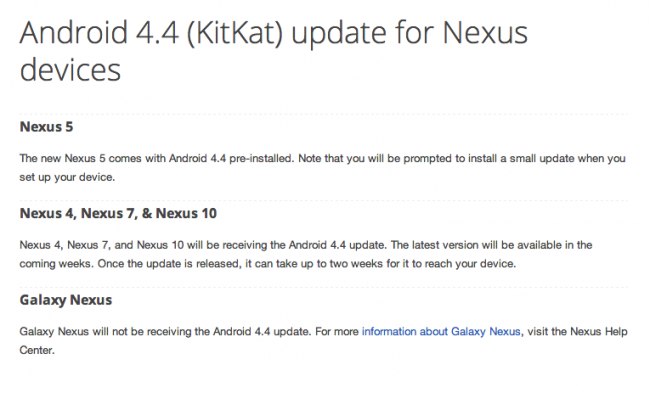 Google has confirmed that Nexus 4, Nexus 7, Nexus 10, Samsung Galaxy S4 and HTC One Developer Editions will receive an Android 4.4 KitKat update in the coming weeks.